Osmium: Mineral information, data and localities. After the Greek for odor, for it's pungent and irritating odor when heated in air. The Os analogue of hexaferrum, hexamolybdenum, garutiite, and ruthenium. Rhodic Nevyanskite A variety of Osmium containing Rhodium and Iridium. Iridium 4 photos of Osmium associated with Iridium on mindat.org. Laurite 4 photos of Osmium associated with Laurite on mindat.org. Isoferroplatinum 4 photos of Osmium associated with Isoferroplatinum on mindat.org. Platinum 3 photos of Osmium associated with Platinum on mindat.org. Osmiridium 3 photos of Osmium associated with Osmiridium on mindat.org. Ruthenium 2 photos of Osmium associated with Ruthenium on mindat.org. Cherepanovite 1 photo of Osmium associated with Cherepanovite on mindat.org. Cooperite 1 photo of Osmium associated with Cooperite on mindat.org. 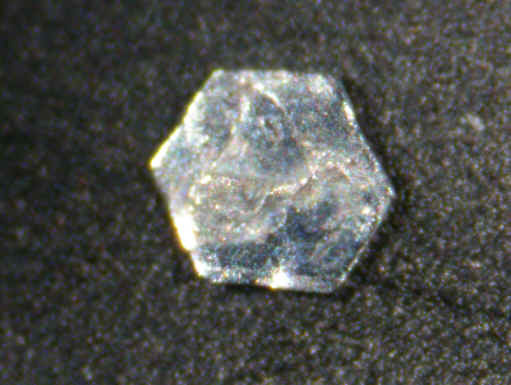 Rutheniridosmine 1 photo of Osmium associated with Rutheniridosmine on mindat.org. Iridosmine 1 photo of Osmium associated with Iridosmine on mindat.org. Palache, C., Berman, H., Frondel, C. (1944) The System of Mineralogy of James Dwight Dana and Edward Salisbury Dana Yale University 1837-1892, Seventh edition, Volume I: 111-113. Harris, D.C., Cabri, L.J. (1973) The nomenclature of the natural alloys of osmium, iridium and ruthenium based on new compositional data of alloys from world-wide occurrences. The Canadian Mineralogist: 12: 104-112. Harris, D.C., Cabri, L.J. (1991) Nomenclature of platinum-group-element alloys; review and revision. The Canadian Mineralogist: 29: 231-237. Dana's System of Mineralogy, 7th ed., Vol. 1, 127. Webb, K. (2014). The age and tectonometallogenic setting of the Fifield “Alaskan-type” intrusive suite, Lachlan Orogen, NSW. NSW., Bachelor of Science (Honours), School of Earth & Environmental Sciences, University of Wollongong. Simpson, Edward S. (1952) Minerals of Western Australia Vol 3 (Facsimile ed. 1984). Hesperian Press, Carlisle, Western Australia p 343. Malitch, K. N., & Knauf, V. V. (2002). Diversity of PGM assemblages at Kraubath: a case study of mantle-derived chromitites from the Eastern Alps, Austria. In 9th International Platinum Symposium (Abstracts). Цинцов, З. (1998). Състав, разпространение и транспорт на минералите на елементите от групата на платината в алувиалните седименти на Благоевградския грабен. Сп. БГД, 59(2), 59-65. Atanasov, A. V. (1990). Vasilite,(Pd, Cu) 16 (S, Te) 7, a new mineral species from Novoseltsi, Bulgaria. The Canadian Mineralogist, 28(3), 687-689. Canadian Mineralogist (2005): 43: 1705. Fedortchouk, Y., LeBarge, W., Barkov, A.Y., Fedele, L. and Bodnar, R.J., 2010. Major- and trace-element composition of platinum group minerals and their inclusions from several Yukon placers. In: Yukon Exploration and Geology 2009, K.E. MacFarlane, L.H. Weston and L.R. Blackburn (eds. ), Yukon Geological Survey, p. 185-196. BARKOV, A.Y. & MARTIN, R.F. (2008) Grains of Pt-Fe alloy and inclusions in Pt-Fe alloy from Florence Creek, Yukon, Canada: Evidence for mobility of Os in a Na-H2O-Cl-rich fluid. Canadian Mineralogist 46, 343-360. Shi, R.D., Zhi, X.C., O'Reilly, S.Y., Griffin, W.L., Pearson, N.J., Bai, W.J., Fang, Q.S., Alard, O., and Zhang, M. (2006): Goldschmidt Conference Abstracts 2006, A 583. Pasava, J., Malec, J., Griffin, W. L., & González Jiménez, J. M. (2015). Re–Os isotopic constraints on the source of platinum-group minerals (PGMs) from the Vestřev pyrope-rich garnet placer deposit, Bohemian Massif. Weiser, T. and Schmidt-Thome, M. (1993) Platinum-group minerals from the Santiago river, Esmeraldas province, Ecuador. Canadian Mineralogist, 31, 61-73. Ducluzaux, B. (2018). Conseils pour identifier et trouver du platine en France. Le Règne Minéral 143, 23-24. Economic Geology: 89: 1454-1468; Auge, T., & Maurizot, P. (1995). Stratiform and alluvial platinum mineralization in New Caledonia ophiolite complex. The Canadian Mineralogist, 33(5), 1023-1045. Auge, T., & Maurizot, P. (1995). Stratiform and alluvial platinum mineralization in New Caledonia ophiolite complex. The Canadian Mineralogist, 33(5), 1023-1045. Harald G. Dill, Detlev Klosa, Gustav Steyer, The “Donauplatin”: source rock analysis and origin of a distal fluvial Au-PGE placer in Central Europe, Miner Petrol (2009) 96:141–161. Anthony, Bideaux, Bladh, Nichols: "Handbook of Mineralogy", Vol. 1, 1990; Auge, T. (1985). Platinum-group-mineral inclusions in ophiolitic chromitite from the Vourinos Complex, Greece. The Canadian Mineralogist, 23(2), 163-171. Kapsiotis, A., Grammatikopoulos, T. A., Zaccarini, F., Tsikouras, B., Garuti, G., & Hatzipanagiotou, K. (2006). Platinum-group mineral characterisation in concentrates from low-grade PGE chromitites from the Vourinos ophiolite complex, northern Greece. Applied Earth Science: Transactions of the Institutions of Mining and Metallurgy: Section B, 115(2), 49-57. Auge, T. (1985). Platinum-group-mineral inclusions in ophiolitic chromitite from the Vourinos Complex, Greece. The Canadian Mineralogist, 23(2), 163-171. Jannessary, M. R., Melcher, F., Lodziak, J., & Meisel, T. C. (2012). Review of platinum-group element distribution and mineralogy in chromitite ores from southern Iran. Ore Geology Reviews, 48, 278-305. Urashima et al (1972) Reports of the Faculty of Science, Kagoshima University, 21, 119-135.; Urashima, Y., & Wakabayashi, T. (1972). Mineral compositions of placer platinum from Teshio in Hokkaido, Japan(Quantitative analysis and identification of chemical properties of minerals in Japanese placer platinoids). Kagoshima Daigaku Rika Hokoku,(Kagoshima), (21), 119-135. Robert C. Smith, II, Ph.D., P.G. Suzuki, J. (1953) Explanatory text of the geological map of Japan, scale 1:50,000: Fukagawa (Asahikawa-48) (Geological Survey of Japan). Ahmed, A. H., & Arai, S. (2003). Platinum-group minerals in podiform chromitites of the Oman ophiolite. The Canadian Mineralogist, 41(3), 597-616. Mineralogy and Petrology 68:159-176 (2000). Stepanov, V.A., Rogulina, L.I., Melnikov, A.V., and Yusupov, D.V. (2007): Geology of Ore Deposits 49(7), 619-623. Gornostayev, S.S., Crocket, J.H., Mochalov, A.G., and Lajoki, K.V.O. (1999) The platinum-group minerals of the Baimka placer deposits, Aluchin horst, Russian Far East. Canadian Mineralogist: 37: 1117-1129. Pekov, I.V. (1998) Minerals first discovered on the territory of the former Soviet Union. Ocean Picture, Moscow, 369 pp. Подлипский, М. Ю., Сидоров, Е. Г., Толстых, Н. Д., & Кривенко, А. П. (1999). Кобальтсодержащий маланит и другие тиошпинели платины из россыпных проявлений реки Майор (Камчатка). Геология и геофизика, 40(4), 645-648. Pekov, I. (1998) Minerals First discovered on the territory of the former Soviet Union 369p. Ocean Pictures, Moscow; Sidorov, E. G., Tolstykh, N. D., Podlipsky, M. Y., & Pakhomov, I. O. (2004). 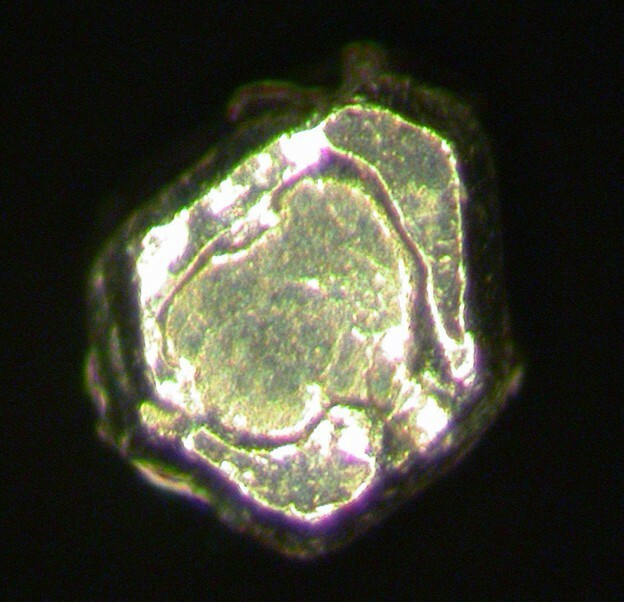 Placer PGE minerals from the Filippa clinopyroxenite-dunite massif (Kamchatka). Geologiya i Geofizika (Russian Geology and Geophysics), 45(9), 1128-1144. Nesterenko, G. V., Zhmodik, S. M., Airiyants, E. V., Belyanin, D. K., Kolpakov, V. V., & Bogush, A. A. (2017). 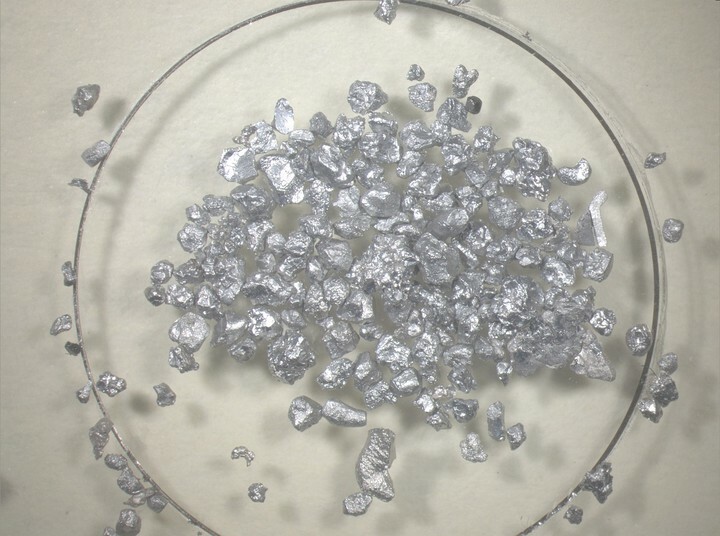 Colloform high-purity platinum from the placer deposit of Koura River (Gornaya Shoriya, Russia). Ore Geology Reviews, 91, 236-245.; Zhmodik, S. M., Nesterenko, G. V., Airiyants, E. V., Belyanin, D. K., Kolpakov, V. V., Podlipsky, M. Y., & Karmanov, N. S. (2016). Alluvial platinum-group minerals as indicators of primary PGE mineralization (placers of southern Siberia). Russian Geology and Geophysics, 57(10), 1437-1464. Merkle, R. K., Malitch, K. N., Gräser, P. P., & Badanina, I. Y. (2012). Native osmium from the Guli Massif, Northern Siberia, Russia. Mineralogy and Petrology, 104(1-2), 115-127. Barkov, A. Y., Tolstykh, N. D., Shvedov, G. I., & Martin, R. F. (2018). Ophiolite-related associations of platinum-group minerals at Rudnaya, western Sayans, and Miass, southern Urals, Russia. Mineralogical Magazine, 1-32. Neradovsky, Y.N., and Savchenko, E.E. (2008): Geology of Ore Deposits 50(8), 746-748. Barkov, Andrei Y.; Nikiforov, Andrey A.; Tolstykh, Nadezhda D.; Shvedov, Gennadiy I.; Korolyuk, Vladimir N. (2017): Compounds of Ru-​Se-​S, alloys of Os-​Ir, framboidal Ru nanophases, and laurite-​clinochlore intergrowths in the Pados-​Tundra complex, Kola Peninsula, Russia. European Journal of Mineralogy, 29, 613-621. Shcheka G.G., Vrzhosek A.A., Lehmann B., Tolstykh N.D. (2004) Associations of platinum-group minerals from the Zolotaya gold placiers, Primorye, Russian Far East, - Canadian Mineralogist, v.42, pp. 583-599. Pekov, I. (1998) Minerals First discovered on the territory of the former Soviet Union 369p. Ocean Pictures, Moscow; Okrugin, A. V. (1998). Mineralogy, Types, and Origin of the Platinum-Bearing Placer Deposits of the Siberian Platform. International geology review, 40(8), 677-687.; Okrugin, A. V. (2011). Origin of platinum-group minerals in mafic and ultramafic rocks: from dispersed elements to nuggets. The Canadian Mineralogist, 49(6), 1397-1412. (2014) 12th International Platinum Symposium p283; Garuti, G., Pushkarev, E.V., and Zaccarini, F. (2002) Composition and paragenesis of Pt alloys from chromitites of the Uralian-Alaskan-type Kytlym and Uktus complexes, northern and central Urals, Russia. Canadian Mineralogist: 40: 1127-1146.; Zaccarini, F., Pushkarev, E., Garuti, G., Krause, J., Dvornik, G. P., Stanley, C., & Bindi, L. (2013). Platinum-group minerals (PGM) nuggets from alluvial-eluvial placer deposits in the concentrically zoned mafic-ultramafic Uktus complex (Central Urals, Russia). European Journal of Mineralogy, 25(4), 519-531. M.I. Novgorodova e.a. (1995) A native wolfram with inclusions of yttrium oxide from an alluvium of Bol’shaja Pol’ja river (Prepolar Ural)” - Doklady RAN, 340, N5, pp. 681-684 (in Rus.). ; Mills, S. J., Kartashov, P. M., Ma, C., Rossman, G. R., Novgorodova, M. I., Kampf, A. R., & Raudsepp, M. (2011). Yttriaite-(Y): The natural occurrence of Y2O3 from the Bol’shaya Pol’ya River, Subpolar Urals, Russia. American Mineralogist, 96(7), 1166-1170. Melcher, F., & Lodziak, J. (2007). Platinum-group minerals of concentrates from the Driekop platinum pipe, Eastern Bushveld Complex Tribute to Eugen F. Stumpfl. Neues Jahrbuch für Mineralogie-Abhandlungen: Journal of Mineralogy and Geochemistry, 183(2), 173-195. Evans, D. M., Barrett, F. M., Prichard, H. M., & Fisher, P. C. (2012). Platinum–palladium–gold mineralization in the Nkenja mafic–ultramafic body, Ubendian metamorphic belt, Tanzania. Mineralium Deposita, 47(1-2), 175-196. Uysal, İ., Tarkian, M., Sadiklar, M. B., Zaccarini, F., Meisel, T., Garuti, G., & Heidrich, S. (2009). Petrology of Al-and Cr-rich ophiolitic chromitites from the Muğla, SW Turkey: implications from composition of chromite, solid inclusions of platinum-group mineral, silicate, and base-metal mineral, and Os-isotope geochemistry. Contributions to Mineralogy and Petrology, 158(5), 659-674. Silliman, Benjamin, Jr. (1873c), On the probable existence of microscopic diamonds with zircons and topaz, in the sands of hydraulic washings in California: A.I.M.E. Transactions: 1: 132; Murdoch, Joseph & Robert W. Webb (1966), Minerals of California, Centennial Volume (1866-1966): California Division Mines & Geology Bulletin 189: 229. USGS (2005), Mineral Resources Data System (MRDS): U.S. Geological Survey, Reston, Virginia, loc. file ID #10028717. Hittell, John Sherzer (1868), The resources of California, 494 pp., San Francisco, A. Roman & Co.: 61; Murdoch, Joseph & Robert W. Webb (1966), Minerals of California, Centennial Volume (1866-1966): California Division Mines & Geology Bulletin 189: 229. Richthofen, Ferdinand [Baron von] (1865), Die Metall-Produktion Californiens und der angrenzenden Länden: Petermanns Mitt. Erganzungsband III, Erganzung Heft 14, 58 pp. : 46; Murdoch, Joseph & Robert W. Webb (1966), Minerals of California, Centennial Volume (1866-1966): California Division Mines & Geology Bulletin 189: 229. Horton, Frederick W. (1912), Iridium in American placer platinum: Engineering & Mining Journal: 94: 873-875; Murdoch, Joseph & Robert W. Webb (1966), Minerals of California, Centennial Volume (1866-1966): California Division Mines & Geology Bulletin 189: 229. Logan, Clarence August (1918), Platinum and allied metals in California: California Mining Bureau. Bulletin 85, 120 pp. : 46-47; Pemberton, H. Earl (1983), Minerals of California; Van Nostrand Reinholt Press: 41. Sjoberg, J. and Gomes, J.M. (1980) Platinum-group minerals in California alluvial deposits. US Bureau of Mines, Reno Research Center, unpublished manuscript: 15, figure 1; Pemberton, H. Earl (1983), Minerals of California; Van Nostrand Reinholt Press: 45. Genth, Frederick Augustus (1852), On some minerals which accompany gold in California: Academy of Natural Sciences of Philadelphia Proceedings: 6: 113-114; […(abstract): Neues Jahrb. : 68-69 (1855)]: 113; Murdoch, Joseph & Robert W. Webb (1966), Minerals of California, Centennial Volume (1866-1966): California Division Mines & Geology Bulletin 189: 229. Sjoberg, J. and Gomes, J.M. (1980) Platinum-group minerals in California alluvial deposits. US Bureau of Mines, Reno Research Center, unpublished manuscript: 15, figure 1; Pemberton, H. Earl (1983), Minerals of California; Van Nostrand Reinholt Press: 43. Mining and Scientific Press (1901), Tin in California: Mining and Scientific Press: 82: 209; Murdoch, Joseph & Robert W. Webb (1966), Minerals of California, Centennial Volume (1866-1966): California Division Mines & Geology Bulletin 189: 229. USGS (2005), Mineral Resources Data System (MRDS): U.S. Geological Survey, Reston, Virginia, loc. file ID #10286939; U.S. Bureau of Mines, Western Field Operations Center (WFOC), Minerals Information Listing Service (MILS); (MILS-WFOC) production files. USGS (2005), Mineral Resources Data System (MRDS): U.S. Geological Survey, Reston, Virginia, loc. file ID #10190235; U.S. Bureau of Mines, Western Field Operations Center (WFOC), Minerals Information Listing Service (MILS), (MILS-WFOC) production files. Sjoberg, J. and Gomes, J.M. (1980) Platinum-group minerals in California alluvial deposits. US Bureau of Mines, Reno Research Center, unpublished manuscript: 15; Pemberton, H. Earl (1983), Minerals of California; Van Nostrand Reinholt Press: 45. Genth, Frederick Augustus (1852), On some minerals which accompany gold in California: Academy of Natural Sciences of Philadelphia Proceedings: 6: 113; Genth, Frederick Augustus (1852), On a probably new element with iridosmine and platinum from California: Academy of Natural Sciences of Philadelphia Proceedings: 6: 209, 247; Murdoch, Joseph & Robert W. Webb (1966), Minerals of California, Centennial Volume (1866-1966): California Division Mines & Geology Bulletin 189: 229. Bird, J. M., and W. A. Bassett (1980), Evidence of a Deep Mantle History in Terrestrial Osmium-Iridium-Ruthenium Alloys, J. Geophys. Res., 85(B10), 5461–5470.